Our goal is to help people in our communities to reverse Type 2 Diabetes and reduce weight. Our commitment is to provide you with information and support to allow you to make a decision and take the action you feel is correct. We boldly state that Type 2 Diabetes is reversible based on new research and grassroots activities that are going on throughout the US through grassroots efforts of doctors, clinics, nutritionists, and individuals. There are two Lions within District 20R1, Bob Collins and John Wienecke, who on separate paths discovered this possibility and have personally changed their diet and have achieved measurable results. This includes weight loss, reduction in blood sugar levels, lower cholesterol, lower triglycerides, lower inflammation, and other measurable outcomes. Current medical approaches to Type 2 Diabetes actually make the problem worse leading to the statement stating that Type 2 Diabetes is a chronic, progressive disease. However, you will learn that with the right information, you can lose weight and reverse Type 2 diabetes. Why Type 2 diabetes is not a chronic, progressive disease as the American Diabetes Association states. What the cause of Type 2 Diabetes is and how to reverse it. Provide a flexible support program, with options, that people can follow to lose weight and reverse insulin resistance, the cause of Type 2 diabetes. The support program will allow them the ability to get their questions answered, share their experience, and learn from others. 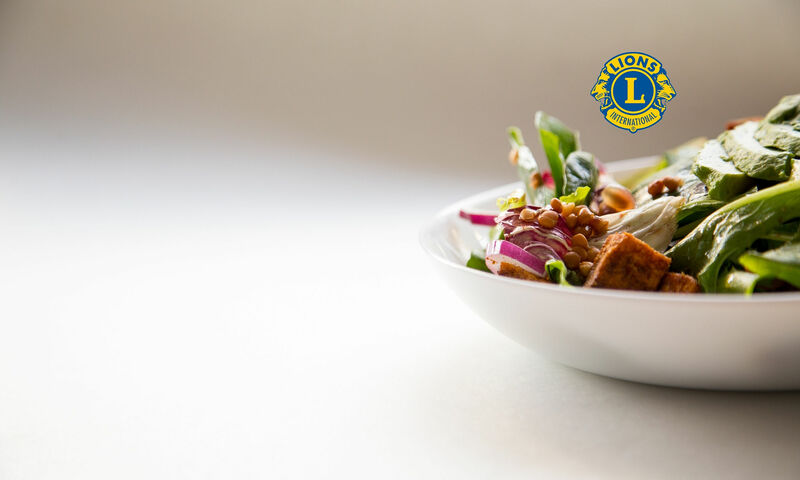 Be available to speak at Lions Clubs meetings and other community events to help educate people on losing weight and helping reverse Type 2 Diabetes. Based on our research the best diet to accomplish weight loss and reversing diabetes is a Low Carb – Ketogenic Diet. To understand the diet and the science behind it please see our Ketogenic Diet Page. There is a lot of information on the site for you and we suggest an easy approach. The cause of weight gain, understanding the science behind why we struggle with losing weight. If you know you want to lose weight or would like to reverse your diabetes and consequently get off your medicine. Go to “Getting Started” on the menu. Fasting options, another method for losing weight and reversing diabetes. “Let food be your medicine and your medicine be your food” as stated by Hippocrates. According to the Center for Disease Control and Prevention (CDC), 110 million US adults are now living with diabetes or prediabetes based on 2015 report. We promote being knowledgeable about your health. Here are some key metrics that you can perform to know where you are regarding Type 2 prediabetes, Type 2 diabetes, and whether or not you are considered overweight and, if so, to what degree. Knowledge is power. You can ask your doctor about your latest blood test or you can get a blood test monitor (see Resources: Tools) and test yourself. Since insulin drives Type 2 Diabetes and obesity, having the ability to measure glucose levels is valuable. Calculate Adult Body Mass Index: – Standard for Measuring Overweight & Obesity – Centers for Disease Control Standard for Adult Overweight & Obesity. Calculate Child/Teen (Under 20 years old) Body Mass Index – This is measured based on the percentile range for their age. You are responsible for your health, we are not medical professionals. None of the recommendations that we share with you from medical professionals should take the place of working with your own medical team to determine what you need to do for your specific situation. If you are a diabetic and choose to follow the dietary recommendations, it is highly likely that your blood sugar levels, in most cases, will come down. Therefore you need to be able to measure and adjust your medicine accordingly. We know that people are busy, that is why we have indicated the duration of our videos. We have chosen to include longer videos as we feel it is important for you to have a more in-depth understanding which we believe will empower you to make the change needed to be Fit4Life. Please take some time to be educated further on the problem, its impact, and what you can do about it. See our educational section: Click Here. We hope you find the site valuable and you are welcome to participate in our support programs. For over 10 years clinics and doctors have been reversing Type 2 Diabetes. Why is this now being done? The cause of Type 2 Diabetes is insulin resistance. The medical approach focuses on blood sugar. Blood sugar is a symptom, not the cause, which is why the disease gets worse over time. Type 2 Diabetes is a dietary disease of too many carbohydrates. Since this is a dietary disease, diet is the best way to treat this condition. Why Type 2 Diabetes is Reversible! Here is a video where Dr. Fung clearly explains why Type 2 Diabetes is reversible and that he is doing it with his patients. 0:00 – Introduction of video and Dr. Andreas Eenfeldt and Dr. Jason Fung. 1:38 – Why our treatment causes the disease to progress. 8:10 – How to reverse diabetes, a couple of methods at a high level. What you should know to reverse Type 2 Diabetes. Dr. Sarah Hallberg explains this and more and what we must understand, and how to reverse it. 02:19 – The widespread nature of the disease and most people do not know they have it. 03:12 – Why current medical treatments don’t work. 09:28 – Story of a patient who reversed diabetes after 20 years in 4 months. 11:06 – How to eat to reverse diabetes and insight into the food we eat. 12:28 – What is the research saying about low carb intervention, including reduced risk of heart disease, obesity, and cancer. 16:44 – Why isn’t this information everywhere? Dr. Zoe Harcombe addresses the UK House of Commons February 2019. This presentation focuses on the issues with the current dietary guidelines. 03:00 Evidence from randomized control trials did not support the reducing dietary fat introduced with the dietary fat guidelines in 1977. 05:15 Current evidence based on latest available science on dietary guidelines. 07:36 Dietary guidelines are slow to change. 9:20 Recommended diet is nutritionally deficient. 9:46 Cause of diabetes & conflict of interest making up the dietary guidelines. How your choice makes a difference. Dr. Mark Hyman explains the impact of what happens when you take control of your health. Dr. Hyman is a practicing family physician, an 11-time New York Times bestselling author, and an internationally recognized leader, speaker, educator, and advocate in the field of Functional Medicine. He is the Pritzker Foundation Chair in Functional Medicine at the Cleveland Clinic Lerner College of Medicine and Director of the Cleveland Clinic Center for Functional Medicine. Here is an article that was written by Dr. Mark regarding the Ketogenic Diet written on October 18, 2018. What is the Ketogenic Diet (and should you try it)? Based on our research the best diet to accomplish weight loss and reversing diabetes is a Low Carb – Ketogenic Diet. To understand the diet and the science behind it please see our Ketogenic Diet Page. Nerve damage (neuropathy). Excess sugar can injure the walls of the tiny blood vessels (capillaries) that nourish your nerves, especially in your legs. This can cause tingling, numbness, burning or pain that usually begins at the tips of the toes or fingers and gradually spreads upward.Left untreated, you could lose all sense of feeling in the affected limbs. Damage to the nerves related to digestion can cause problems with nausea, vomiting, diarrhea or constipation. For men, it may lead to erectile dysfunction. As you know, there is a wide disparity and confusion associated with what causes weight gain and how we can lose weight. Regardless, the fact is that obesity is a significant health issue in the US and worldwide. What now is emerging, gaining weight is not just a matter of calories in versus calories out — it’s not just an issue with a person’s discipline on managing what they eat and the amount of exercise that they do. The new studies are showing that weight gain is a hormonal condition governed by Insulin and Cortisol. Insulin has multiple functions. One of the main purposes is moving glucose from the bloodstream into cells, which includes liver, muscle, fat, and brain cells. The body maintains a balance between the food consumed and the energy needed in the short term and energy required when we are not eating. Extra glucose at times of eating is converted to fat for later consumption. In a balance state, insulin is used during short intervals balanced with times of non eating. Weight gain occurs when higher levels of insulin are needed over longer periods of time. This occurs based on diets with high amounts of refined sugar, high quanities of carbohydrates, snacks, and surgary drinks causing storage of fat. Eating in this manner drives further insulin resistance. Insulin resistance means more insulin is needed to perform the same function while also increasing fat storage and therefore weight gain. There are severe health problems associated with hyperglycemia if there is too much glucose in the blood. 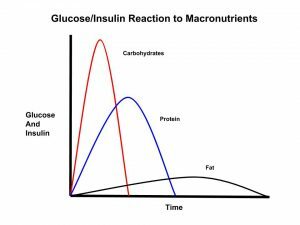 When insulin is elevated, and you exert yourself (exercise or work), rather than burning fat (stored energy) as designed, the presence of insulin assumes there is enough readily available glucose to meet the demand. When there is not, you get hungry even though there is fat available to meet the demand. The net effect is you gain weight. Since the late 1950s we were told that fat was bad for us. Over the last 60 – 70 years our food products have removed fat. When they removed fat, they put in carbohydrates and chemicals, mostly refined sugar. It turns out there was no clinical evidence for eliminating fat from our diet. Some of the common beliefs that are not accurate. Calories in and calories out are independent of each other. Not all calories are the same. One hundred grams of broccoli is not treated by the body in the same way as the same amount of sugar or bread. Also, the level of insulin resistance affects how these calories are processed. The metabolic rate is stable. When the body tries to maintain a homeostatic state, it slows or speeds up metabolism causing different energy to be burned which we can not directly control. We all respond a little differently, and some individuals are more tolerant of carbohydrates than others. The best way to understand is to do personal testing to know how you relate to food. See the Tools Section. Cortisol is our stress hormone. This hormone manages our fight or flight response to perceived threats. It provides the energy, glucose, to support our ability to respond. This mechanism was expected to be a short response, either escaping or dying. In our modern times we have conditions that cause stress over extended times, whether that be work situations or home situations, without the physical energy-consuming activities. The net result is elevated glucose from fat conversion increasing insulin and insulin resistance. Fundamentally we need to lower our insulin levels. If you are insulin resistant (prediabetic or diabetic), it is essential to reduce insulin resistance. Reduce those carbohydrates that increase your insulin levels. You can find this out by testing your blood sugar after eating specific foods. Eliminate sugars, especially sucrose and high-fructose corn syrup – considered by many as the worst foods that we eat. Reduce or eliminate processed foods. Replace with whole foods. Moderate protein. Too much protein increases insulin. Consider a Ketogenic diet, at least for a while to reduce insulin resistance. Consider reducing the number of times that you eat each day, reducing insulin and allowing for fat burning. Consider fasting, both intermittent fasting and other types of fasting. We recommend starting simply. Start with eliminating foods with sugar, especially those with sucrose and high-fructose corn syrups. Try eating food that has a low glycemic index. Then begin eating more good fats and fewer carbohydrates. As you start, you will begin to notice being more satiated and reduction in unconscious eating. The diet we are recommending to lose weight and reduce insulin and insulin resistance is the Ketogenic Diet. See the Resource section, “Ketogenic Diet” and “Getting Started”. The program will be conducted through a combination of Video Conferences and Facebook Lions Fit4Life closed group. The Video Conference will include introductions for new people and month meetings were we will share information and answer questions. The Facebook group will support people between calls and will be used to share information, success stories, and have your question answered. You can make a request to join the Facebook group please click here to make the request. To register for Weight Loss & Reversing Diabetes Support group click here. To register for the Weight Loss & Reversing Diabetes monthly live call: click here. This meeting occurs at 7:30 pm EST on the 1st Thursday of every month. If you any question please contact us by clicking here. The best way to contact us is by filling out the form and including the best time to reach you. We will get back to you within 24 – 48 hours. Our support will be via a closed Facebook Group. Here we will be able to collaborate together, share insights, answer your questions, and share information. To request access to the Facebook Group click here . You will be directed to Facebook. We are committed to supporting our friends in the community that we serve to reverse diabetes and have a positive impact on their health such that they live a more vibrant life.